Here’s my advice about roasting anything…KISS it. Keep it simple, sweetheart. All you need is olive oil, kosher salt and fresh cracked pepper to roast anything. Perhaps you can get fancy-pants with grapeseed oil, sea salt, ground pink peppercorns, but that is up to you. But you certainly don’t need lemon pepper or a pre-packaged spice blend, which mask the greatness of what you’ve started with: Perfectly delicious, fresh, whole food. Heat the oven to 400 degrees. 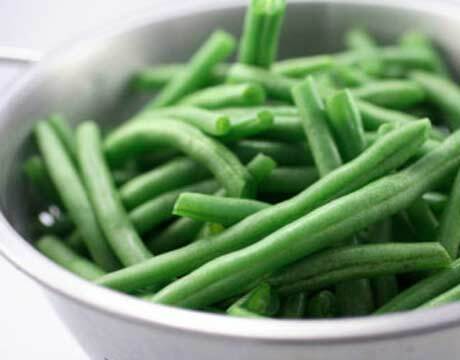 Spread the green beans evenly on a baking sheet, and drizzle them with just enough olive oil to lightly coat each one. Season with salt and pepper, and toss once more. Roast in the preheated oven for 10 minutes, then remove, and toss beans. Place back in oven to continue to cook for another 10-12 minutes, until the beans are charred and tender. Top the cooked beans with the lemon zest and serve immediately with the lemon wedges and additional salt for sprinkling.